I’m always amazed at what can be found at the modern-day drugstore. The sheer volume of items is astounding—from medicine and health and beauty, to cleaning supplies, gifts, greeting cards and calendars. 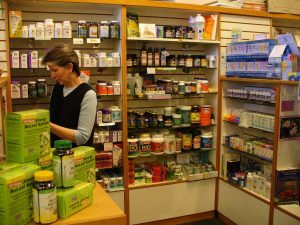 You might be surprised to know that you can step away from the fluorescent lighting of the cavernous chain drugstore into a local pharmacy of sorts that carries many of the same categories of items. 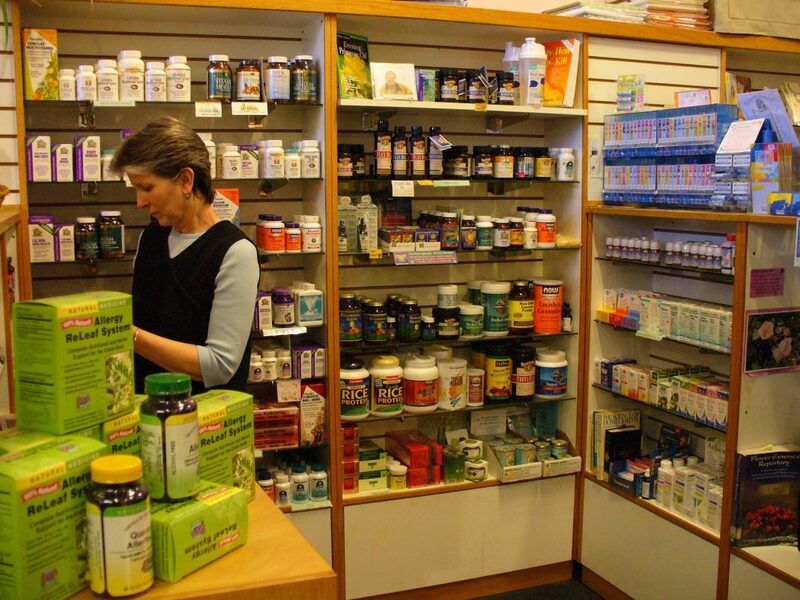 Located in downtown Olympia, Radiance Herbs & Massage offers a variety of items that are similar to, yet clearly different from, the items you would find at a chain drugstore. Don’t believe me? Well, take a stroll into the store with me and see take a look. Radiance offers makeup and hair care options—but unlike most drugstore offerings, they are free of toxic ingredients. At Radiance, you can buy mineral makeup options from Herbs of Grace, made locally in Rainier. 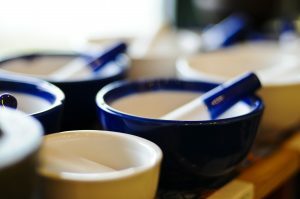 They have both simple mineral powders that can be used in a variety of ways, as well as already formulated options. Radiance also offers hair color, like the familiar out-of-box products, which provide the convenience of a traditional hair color using plant-based ingredients. Customers can also purchase henna powder by the pound. “We offer a variety of colors which gives customers the freedom to mix a formula which is just right for them,” says Karin Olsen, co-owner Radiance Herbs & Massage. In addition, Radiance carries a wide selection of tools for personal grooming, and aids for bath and massage. While Radiance does not carry premade cleaning products like you would find in a traditional drugstore, customers can find a wide variety of ingredients to make their own effective, non-toxic cleaning products at home. For those who especially want to avoid industrial-strength chemicals and artificial fragrances, homemade cleaning products can be a useful alternative. Some Radiance customers like to purchase essential oils to add to their homemade cleaning formulas. Many essential oils contain anti-fungal or anti-microbial properties. Other essential oils can be used to lend pleasing scents that vary from calming to energizing. Radiance also carries soap nuts, a berry which contains naturally occurring soap compounds and can be used as a natural laundry detergent. Radiance stocks a wide selection of high-quality vitamins, minerals, nutritional supplements, and herbal products to promote health and wellness. They also carry homeopathic remedies, Ayurvedic and Traditional Chinese Medicine products. They stock formulas that support customers during and after menopause as well as menstrual support. Other products support sleep, digestion or help customers stay healthy during cold or flu season. And, unlike drugstores, Radiance resembles a more traditional pharmacy, featuring a wall of dried bulk herbs—with more than 300 individual herbs, tea blends, and culinary spices. Many people use essential oils to support their wellness program, and they carry almost 100 different essential oils. The oils come in different size options, which is convenient for customer needs. If you are a parent and you have ever received the dreaded head lice letter from school or daycare, you probably know how difficult it can be to get rid of those tricky little hitchhikers. Radiance offers two labeled products for the treatment of lice. These products are pesticide-free, but when used according to the manufacturer’s instructions, they are just as effective. With more and more lice exhibiting pesticide resistance, customers are seeking out alternative treatments like the products available at Radiance. The greeting cards section is a mainstay at practically every drugstore. The same can be said for the greeting cards at Radiance. With beautiful cards to express every sentiment, you are sure to find just the right card to share your thoughts. Every Fall, through the beginning of the New Year, Radiance also offers a wide variety of calendars. From candles and crystals, to jewelry and books, there is a gift available for everyone on your list. 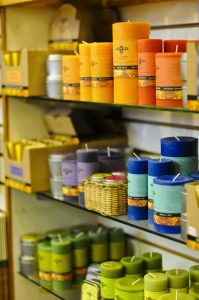 Many of the non-toxic candles are made locally and hand-crafted using beeswax or coconut wax. Radiance also offers a huge assortment of books supporting well-being that can be given as gifts or added to your own bookshelf. The baby care section contains a number of products for infants, toddlers, and postpartum parents, which also make great gifts. Radiance really does offer the same sort of one-stop shopping for their customers that chain drugstores boast but with the added benefit of knowing you are supporting local, buying more natural items and always have helpful staff to answer any questions. With over 65,000 items of all shapes and sizes, it really is a one-stop shop. Head into Radiance Herbs & Massage to see the wide selection of products they have available.